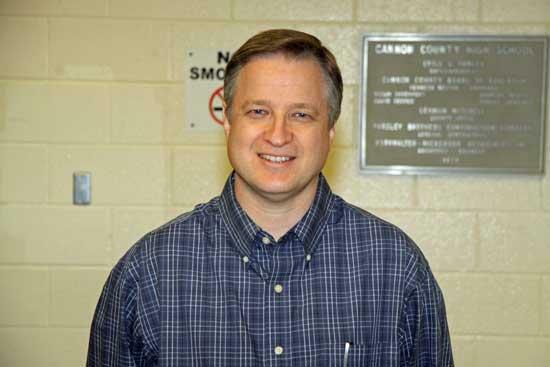 The Tennessee Council for the Social Studies has named Cannon County High School Teacher, Mr. William Freddy Curtis as one of the Tennessee Outstanding Social Studies Teachers of the Year for 2010. Mr. Curtis will be honored at a luncheon and recognition at the Tennessee Council for the Social Studies Conference on Friday, March 12, 2010 in Memphis, Tennessee. Mr. Curtis was nominated by CCHS Principal Tim Knox and Assistant Principal Bonnie Paterson, which consisted of a detailed application. The application included letters of support, a professional resume’, current teaching assignment, and a narrative describing the organization’s criteria requirements. The narrative demonstrated academic excellence, utilization of the National Council of Social Studies curriculum standards, inquiry based skill development, democratic beliefs and values, citizen and community participation by students, and evidence of professional involvement in education activities. Mr. Curtis is a 24 year veteran of the Cannon County School System serving as a teacher and principal at West Side Elementary School from 1986 to 2008, and currently serving as US Government & Sociology Teacher at Cannon County High School. He is married to Trena Braswell Curtis and has four sons – Matt, Trent, Casey, and Evan Curtis. The Tennessee Council for the Social Studies is an association devoted to providing information, resources, and support for all those involved in social studies education. This includes K-12 teachers, supervisors of instruction, and college professors, in the various disciplines interested in and involved in the social studies.